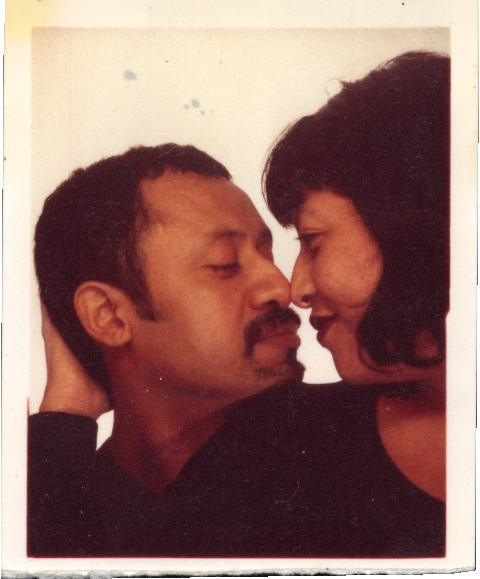 I married a Mexican, a born there, crossed the border in the back of a car, learned English here, speaks with an accent, and had thirty thousand dollars in stack of cash hidden in his studio apartment when I met him Mexican. I married a Mexican, a Mexican who will eat tofu and TVP, who will dance with me at parties and who cries while watching TV. I married a Mexican who doesn’t do dishes, clean up around the house, or even cook very often. I fight with him about it sometimes, but most of the time I don’t bother. Instead, I just put on an apron and get to it. But my Mexican would never hire another Mexican to prune the roses, to cut a few and give them to our son to give to me to put in a vase on the dining room table, and my Mexican would never hire another Mexican to mow the lawn, or water his fruit trees, or re-pot the cactus plants, or care for his son while his mother is out of town at a conference, or working late, or writing. He gives me space, lets me put the dogs on the bed, holds my hand under the covers, has never done a drug unless prescribed, doesn’t drink, but never complains when I do or that he’s always the designated driver, or that I’ve decided I only want one kid. I never planned to marry, planned not to. But I married the Mexican after being together only three months. I was twenty-eight, he thirty-three. I thought I could love him, probably did already, but I was afraid even more afraid of finding out I did love him after INS sent him back to Mexico for up to ten years which is what they were threatening to do if we didn’t marry before April. The laws were changing, and I was changing too – había cambiado.